Professionally written articles on game design, featuring interviews I conducted and/or had published through a notable media outlet. Sometimes, you look forward to something for so long. And then it’s suddenly over. It’s a little bittersweet, but our late nights with Resident Evil 2 had to end somewhere. Having thoroughly discussed its stylistic departures in Pt. 1, Alex, Nick and I push forward through the remake’s more familiar narrative beats. From the survivors inhabiting its world to Leon and Claire’s alternate paths, to the means of survival and a handful of our own ideas, we lay it all on the table with our final words on the RE2 remake. Tune in as we take our victory lap through the streets of Raccoon City — and live to tell the tale. Alex Koval is a full-stack web developer, an independent short-filmmaker, and a fan of the horror genre. We’ve been best friends since 2nd grade, and some of his favorite games include Resident Evil, Final Fantasy Tactics, Eternal Darkness, and Banjo-Kazooie. Nicholas Kuhar is my brother, bandmate, and frequent donor of graphic novels. He is also the Director of Innovation at St. Edward High School in Cleveland, OH, helping young students unlock their creativity through new-media. Some of his favorite video games include The Legend of Zelda: Breath of the Wild and Final Fantasy VII. Music at the top of today’s episode is from Resident Evil 2‘s remade OST, produced by the Capcom Sound Team. Our closing theme is a fantastic cover of the game’s “Save Room Theme,” courtesy of Mono Memory – an 80’s inspired synthwave producer based in Edinburgh. References include Chris Saglimbene’s interview w/ writer Brent Friedman, an archived interview with the original RE2 team (from the June 1998 issue of Japanese gaming magazine, “The Playstation“), and an old commercial for the game’s original release. If it wasn’t for Capcom’s remake of Resident Evil 2, this podcast probably wouldn’t even exist. Soon after RE2 was unveiled at E3 2018, Alex Koval and I jumped on a call to discuss why the 1998 version was still so present in our minds. Joining us to see how well it’s come back to haunt us is my brother and returning guest, Nicholas Kuhar, for a special two-part edition of Screen Looking. In Pt. 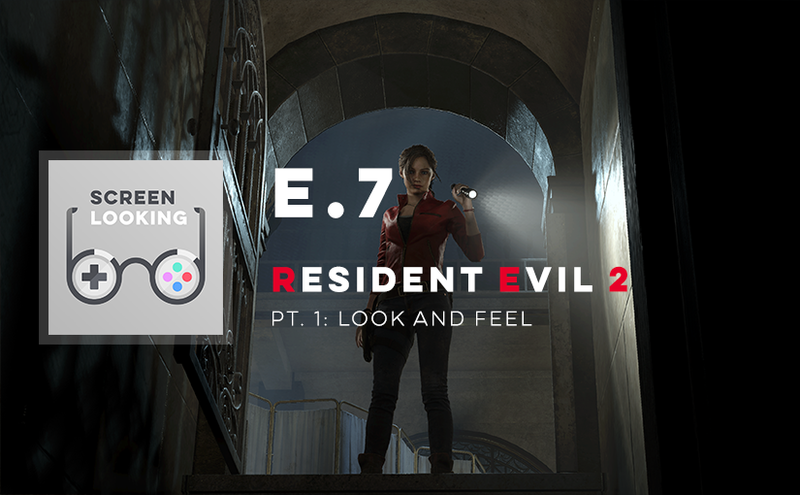 1, our attention is focused on the look, feel and mood of Capcom’s re-imagined RE2, in addition to some of its earliest and most unforgettable moments. By the end, we make our way around to one of the game’s most divisive topics: Mr. X. For a 21-year-old game, RE2 is still full of surprises and eager to subvert our expectations. Indulge us as we once again enter the world of survival horror. Alex Koval is a full-stack web developer, an independent short-filmmaker, and a fan of the horror genre. We’ve been best friends since 2nd grade, and some of his favorite games include Resident Evil, Final Fantasy Tactics, Eternal Darkness, and Banjo Kazooie. Music & SFX in today’s episode are from Resident Evil 2 and its OST, produced by the Capcom Sound Team. Featured excerpts are courtesy of YouTubers Chris Gamesalot and their interview w/ writer Brent Friedman, as well as Captain Eggcellent and their Resident Evil 2 Remake Mythbusters series. Tune in next week for Pt. 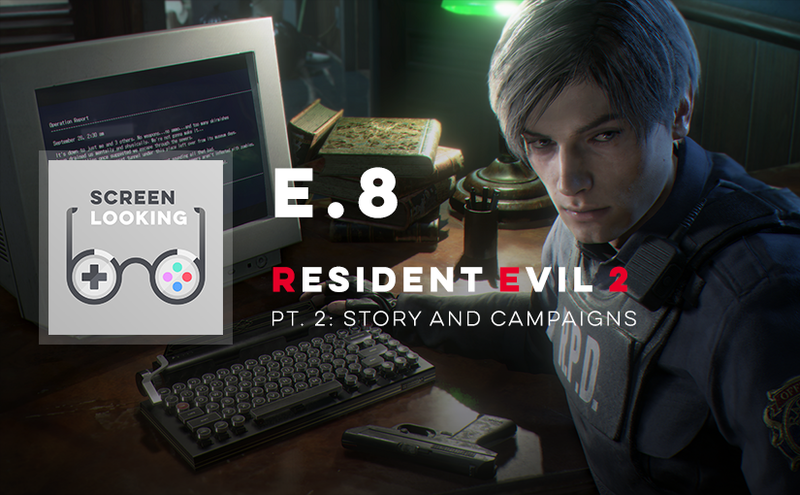 2, as we venture forth into RE2’s revised story and campaign details. 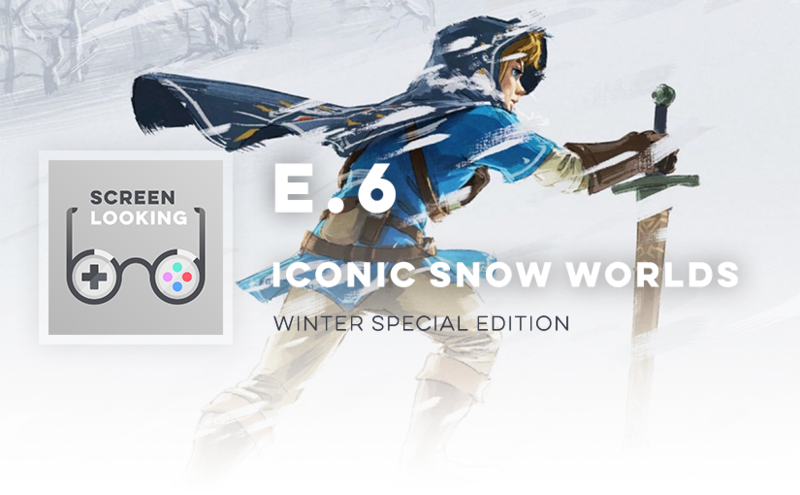 Love ’em or hate ’em, the most unforgettable video game worlds are usually buried in snow. In this special winter episode, friends & listeners of the show write in with the ones they remember most. Regardless of whether they’re frustrating, fun or simply a change of scenery, a “good” snow-themed level will push any game’s design to the absolute brink. They surprise us with bold visuals and subvert our expectations of a game’s environments. At the very least, they know how to stand out. Challenging yet wondrous to explore, these virtual worlds left an indelible impression on those who survived them. Today, I get to share their stories with you. Grab a warm beverage, abandon your chores, and commiserate with me on that extended commute as I open up the mailbag for this special edition of the Screen Looking podcast. The opening theme for today’s episode is a remastered version of Final Fantasy VII‘s “Buried in Snow,” recreated by Pontus Hultgren — a freelance composer/orchestrator based in Sweden. Visit his YouTube channel to hear more. Additional music in today’s episode comes from each entry and their respective OSTs, including: Banjo-Kazooie, Crash Bandicoot 2: Cortex Strikes Back, Donkey Kong Country, Goldeneye 007, Journey, The Last of Us, The Legend of Zelda series, Mario 64, Max Payne, Metal Gear Solid, Puzzle Agent, Sonic the Hedgehog 3, Teenage Mutant Ninja Turtles II: The Arcade Game, and Uncharted 2: Among Thieves. Thank you to everybody who wrote in! Video games have the unique power to connect us across far distances, and I can’t think of a better way for the show to celebrate that this season. 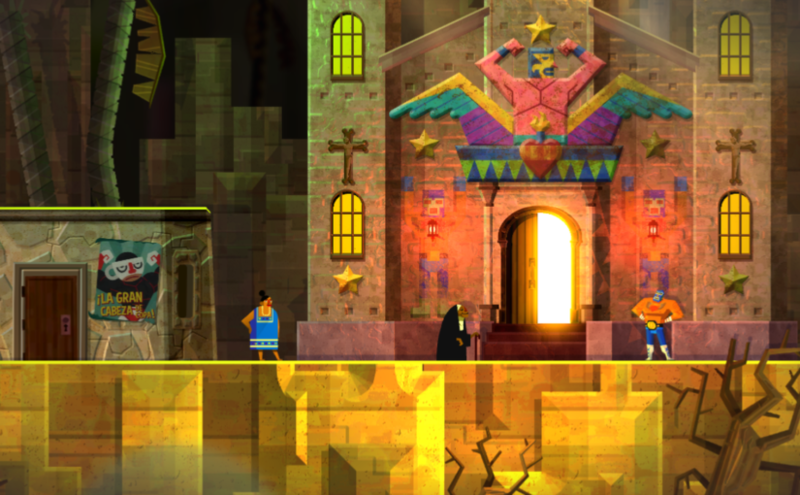 There are few games that I have replayed – and then again, and again, and again – as much as I did with Guacamelee!. Each playthrough emboldened me to become an even stronger, faster, more magical luchadore, but they also revealed new layers to the game’s world. Guacamelee! was brimming with secrets, hidden between the difficulty spikes and its signature atmosphere. That attention to detail only went further in its recent sequel, and luckily I got to hear & write all about it. For my second longform piece on Engadget, I had the pleasure of talking with the series’ creators, DrinkBox Studios. Guacamelee! 2 became an opportunity for them to revisit a world they loved building in the first place, only to discover how rewarding the creative process could still be. I spoke with the team’s co-founder and producer, Graham Smith, art director, Steph Goulet, and concept lead & animator, Augusto Quijano, to better understand the sequel’s new landscapes, narrative beats, color palette and more. As delightful as Guacamelee! 2‘s slapstick self-aware tone is, what stuck with me were its quieter moments – and how personal Augusto was in drawing inspiration from his Mexican upbringing. It’s clear that DrinkBox made even more thoughtful design decisions this time around, managing to distinguish the sequel from its already hyper-stylized predecessor along the way. With a Guacamelee! themed episode of Screen Looking in the works, I now have a great excuse to replay the sequel, too. Until then, I hope you enjoy reading about it. If a video game is going to let you experience life as Peter Parker in 2018, it ought to feel amazing. Thankfully, it does. 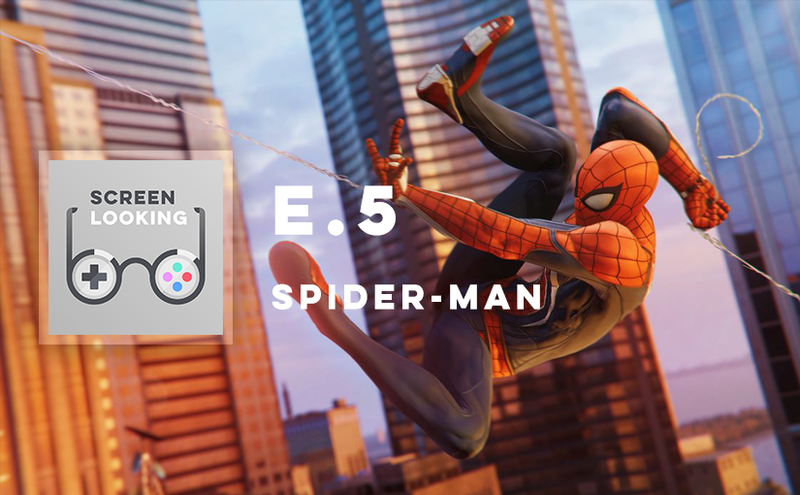 Strength, grace, and a taxi-driver’s understanding of Manhattan are just a few of the advantages that Marvel’s Spider-Man affords players. Surprisingly, it’s also filled with heart, laughs, and a gravity-defying means of traversal that never grows old. After a tumultuous history in video games, the iconic character is finally done justice in the hands of Insomniac Games. My brother, Nicholas Kuhar, and our longtime friend, Ryan Ward, join me for an extended chat about the wall-crawling adventure we’ve been waiting for. We break down what makes Spider-Man a thoughtful adaptation through its relationship with its source material, web-slinging physics, commitment to the character, and clever yet jaw-dropping presentation. Spoiler Warning! Around the 30 minute mark, we start discussing major narrative and plot details. Nicholas Kuhar is my brother, bandmate, and frequent donor of graphic novels. He is also the Director of Innovation at St. Edward High School in Cleveland, OH, helping young students unlock their creativity through new-media and technology. Some of his favorite video games include The Legend of Zelda: Breath of the Wild and Final Fantasy VII. Ryan Ward is your go-gettin’ friendly neighborhood Spider-Fan with a heart of gold. His knowledge of Marvel Comics is extensive, and the Metal Gear Solid series has produced some of his favorite video games. Since growing up together in Northeast Ohio, these truths have remained the same. Special thanks to Megan Kuhar for lending her audio engineering expertise & support — without it, we would have not been able to record this month’s episode. Music in this episode is from Spider-Man: The Animated Series, and the OST to Marvel’s Spider-Man (composed by John Paesano). It’s been nearly half-a-decade since Blizzard Entertainment disrupted the card game scene with Hearthstone. 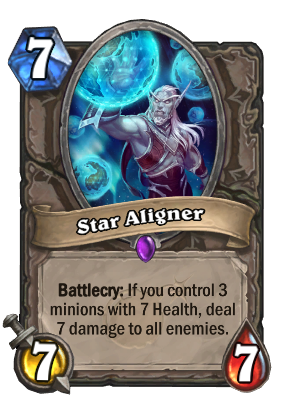 Its community is still going strong, and is now enjoying one of its most fun & balanced seasons thanks to The Boomsday Project: an otherworldly expansion pack filled with mad scientists and happy accidents. 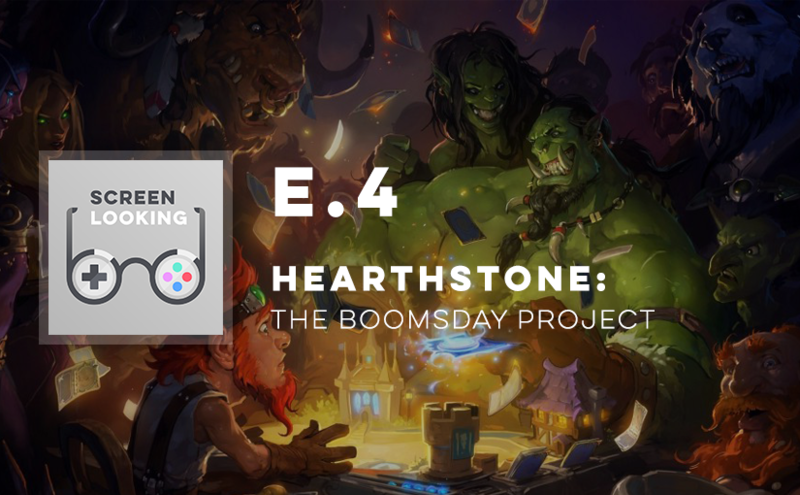 In our fourth episode, we discuss not only the state & direction of Hearthstone, but also revisit the foundation it was built upon. Returning from our debut episode to talk through it all is my dear friend, Alex Koval. We also welcome an additional and very special guest: concept artist & illustrator, David Kegg. 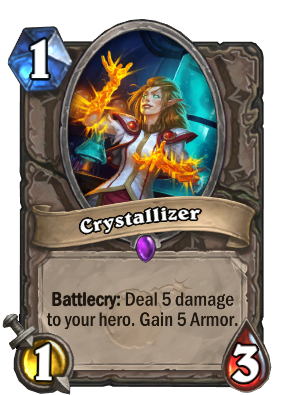 David has had the unique pleasure of creating some of the excellent artwork found in Hearthstone’s latest set and trailers. Today he joins us to talk shop about the look & feel of the game, his artistic contributions and the process to bringing aspects of Hearthstone’s world to life. David Kegg and I went to art school together at the Cleveland Institute of Art, and he has been a professional concept artist & illustrator ever since. His work can be viewed online through ArtStation, as well as on Instagram and Twitter (@DKeggArt). Music in this episode is from the OSTs to both Hearthstone and its latest expansion, The Boomsday Project. Uncharted 4: A Thief’s End left Naughty Dog’s critically-acclaimed action adventure series feeling far more complete than most games are known for. Apparently, its creators felt otherwise. Somewhere between an epilogue and a standalone chapter, Uncharted: The Lost Legacy managed to distill the best parts of the series without overstaying its welcome. And by handing the reins over to someone other than Nathan Drake, it discovers at least one more adventure worth taking. Hilary Bovay returns to the guest seat to uncover what secrets Uncharted still has to offer, as series favorites Chloe & Nadine take the lead. Tune in for our conversation exploring the game’s mythological and cultural background, cinematic qualities, production methods, acting, writing, and more. Hilary Bovay is an incredibly talented photographer from Aquidneck Island, RI, now based out of Cleveland, OH. She has a keen eye for aesthetics & visual storytelling, and her love for the original Crash Bandicoot is all you’ll ever need to know about her taste in video games. Read our “Top Ten Levels: Crash Bandicoot” post, in which we rank our favorite levels from Crash Bandicoot N. Sane Trilogy as a follow up to last month’s episode. 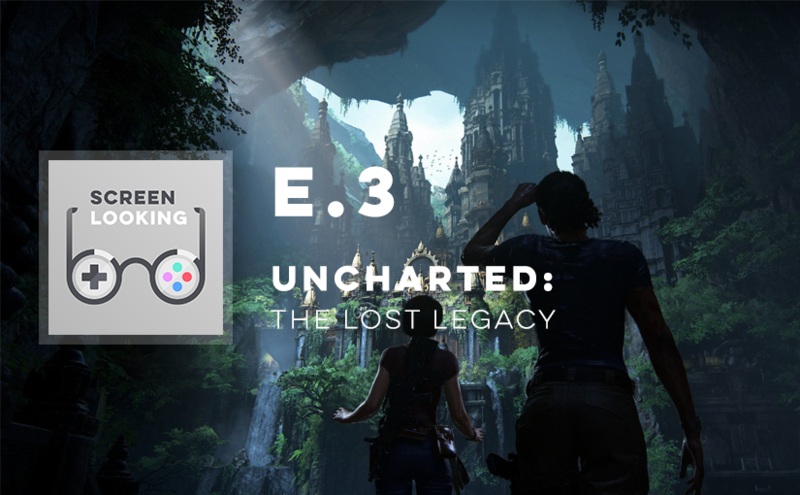 Music in this episode is from the OST to Uncharted: The Lost Legacy, composed by Henry Jackman. Outro bumper clips courtesy of YouTube user SuperNormalMode. Still, we feel they deserve our recognition. Having now achieved over 100% completion across Vicarious Visions’ rebuilt trilogy, we felt like we had to revisit this topic more officially. It’s another deep-dive into another remake…of another classic Playstation series from the mid-to-late 90’s – and it’s on the anniversary of Crash Bandicoot N. Sane Trilogy. We might be a year late to the conversation, but we’re just too fond of the orange marsupial to let that stop us. Originally created by Naughty Dog, the Saturday-cartoon-style platformer made waves in 1996, just as the industry was discovering the 3rd dimension. With its lush art direction, innovative gameplay, expressive characters and irreverent attitude, Crash Bandicoot cemented Naughty Dog as the world-class studio we still know it to be. But it’s Vicarious Visions’ remake that brought Crash to an entirely new generation last June — and to the center of our discussion today. 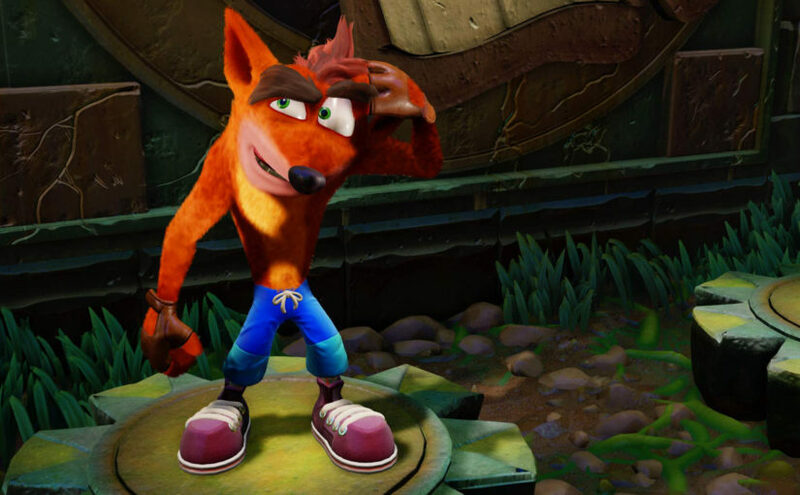 Not only is Crash’s makeover a piece of modern entertainment, but an important entry into the efforts of game preservation. By adapting & rebuilding the trilogy for modern consoles and players, Vicarious Visions brought a renewed clarity to a notable slice of gaming history. We look at what choices they had to consider, what they refined, what they changed, and what they preserved with an unwavering loyalty. Being a year removed from the N. Sane Trilogy has its benefits, though. As three-games-in-one, this was no easy topic to digest nor keep to an hour. But our mutual hindsight keeps things sprightly and candid. My partner and guest, Hilary Bovay, is the only other person I know who grew up with a love for this trilogy to match my own. Join us for a myriad of perspectives as we breakdown the classic Crash Bandicoot trilogy and its gorgeously challenging remake. Read Andrew’s feature story on Engadget to learn more about Vicarious Visions’ process and determination behind their Crash Bandicoot N. Sane Trilogy, view exclusive concept art, and more. 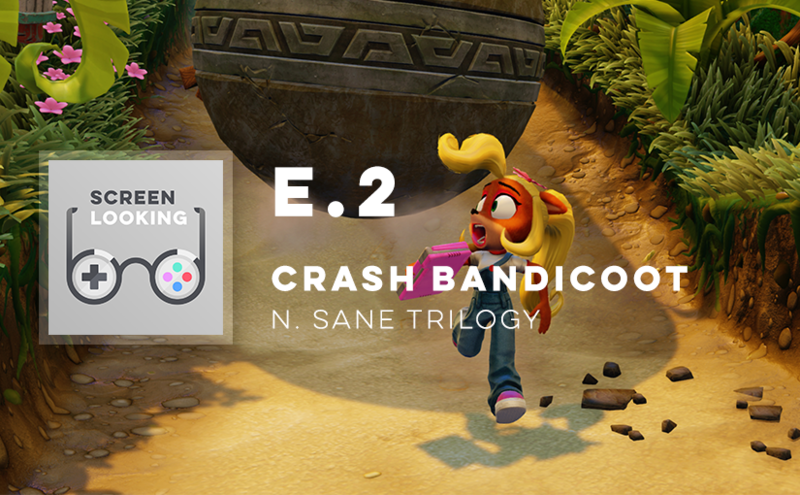 Music in this episode is from the OST’s to Crash Bandicoot and Crash Bandicoot N. Sane Trilogy, composed by Josh Mancell. The title theme featured at the top of the episode was reproduced by Justin Joyner (Audio Lead at Vicarious Visions). Welcome to the inaugural episode of Screen Looking, a podcast where close friends take a closer look at their favorite video games. We’ll be focusing on one game per episode from the perspective of its artwork, game design and storytelling, ranging from contemporary blockbusters to remakes and indies. Typically, we’ll unpack games we’ve already played through. But because this is our first episode, we decided to discuss something special: the newly announced remake of Resident Evil 2 (RE2). RE2 was originally released in 1998 to critical acclaim as a two-disc game for the Sony Playstation, shortly following its breakthrough predecessor. Twenty years later, it’s finally getting the remake fans have been clamoring for since Resident Evil’s in 2002. The pair of survival horror classics defined a new genre and terrified gamers in their formative years. My guest, Alex Koval, and I can attest to this, as it’s a series we grew up playing together, bonding over, and thinking about ever since. 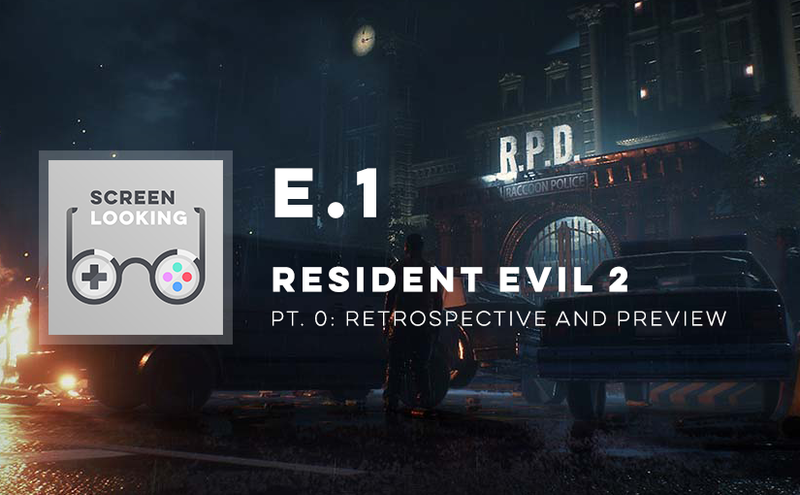 Join us as we look at what gave RE2 the status it earned in 1998, our impressions of the remake fresh off of its E3 reveal, and what we look forward to seeing next.